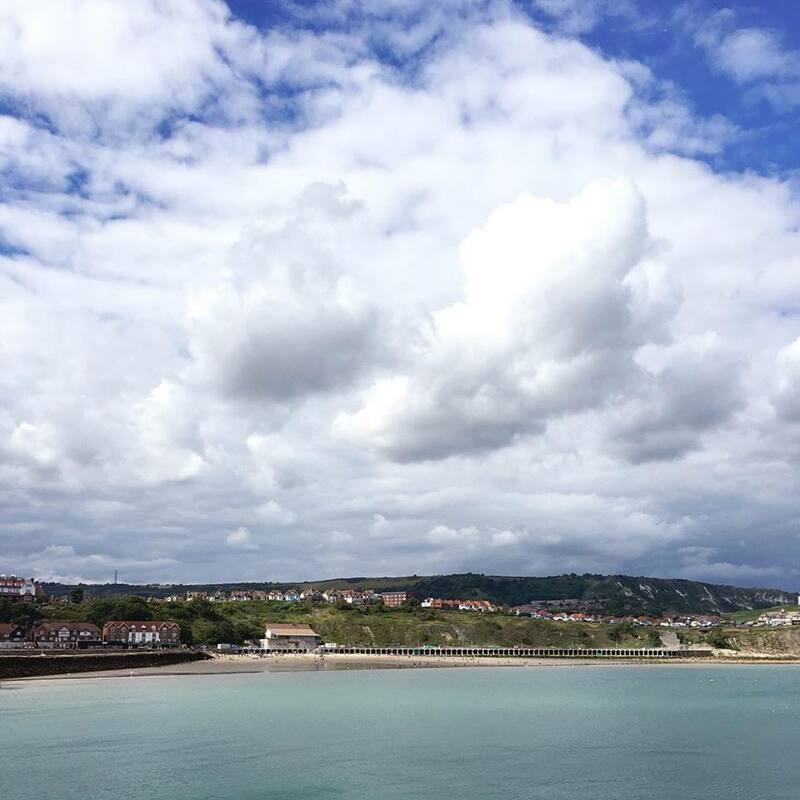 Sunday was the perfect day to pack our bag and head to the seaside. 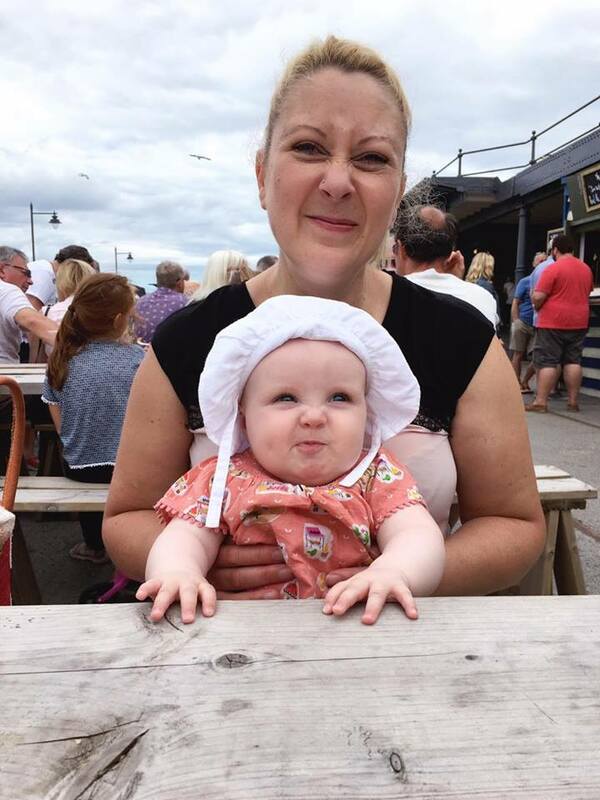 So with Mummy T & Andy, our little family escaped the still warm heat of the town and enjoyed the beautiful breezy Summers day by the coast. 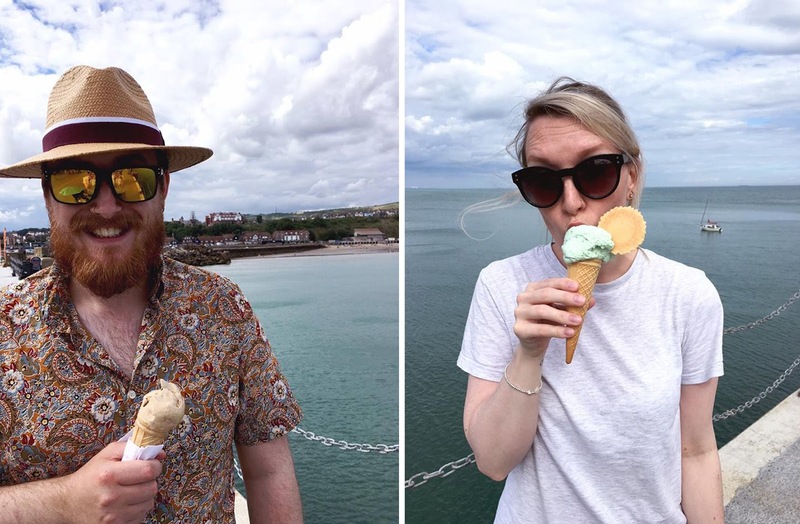 We arrived at lunchtime so with all five tummies rumbling we headed straight to Folkestone's Harbour Arm where there were all sorts of delicious eateries in the shape of shacks, huts and even buses! We managed to get some seats and plonked ourselves down in front of the lovely jazz band that had just begun whilst we decided what we all fancied to eat. 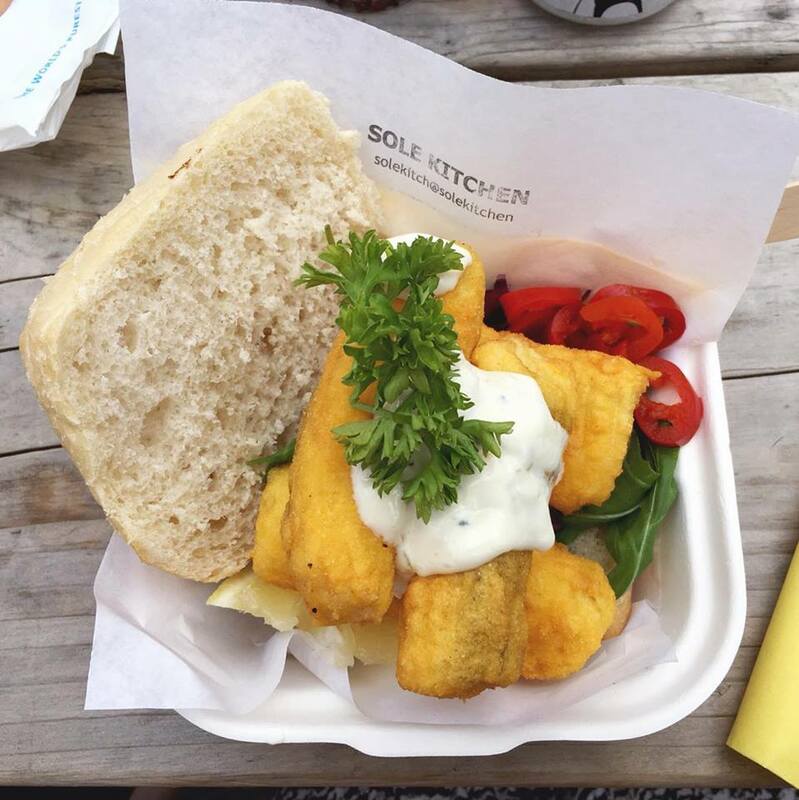 I couldn't resist the chunky fish finger sandwich at 'Sole Kitchen' (fun fact: I can NEVER resist the option of a fish finger sandwich when it's on the menu!). Mummy Susie joined me on the sandwich whilst Sebastian and Andy went for a burger each at 'That Burger'. Which looked delicious. 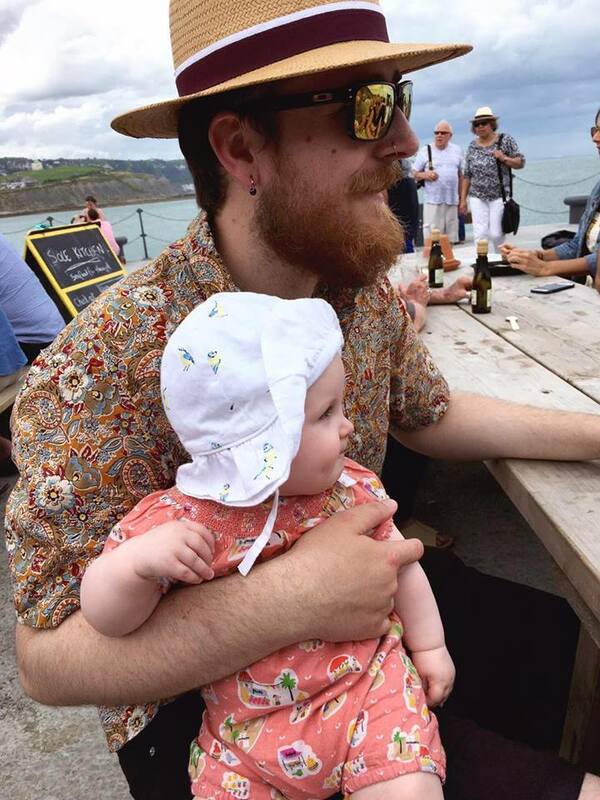 Enjoying fruity ciders and cola we took turns in cuddles with Olive whilst appreciating the cool sea air, wonderful music and the perfect atmosphere. After feeling satisfied and chilled we all went off for a walk, but first stopping for an ice cream cone. 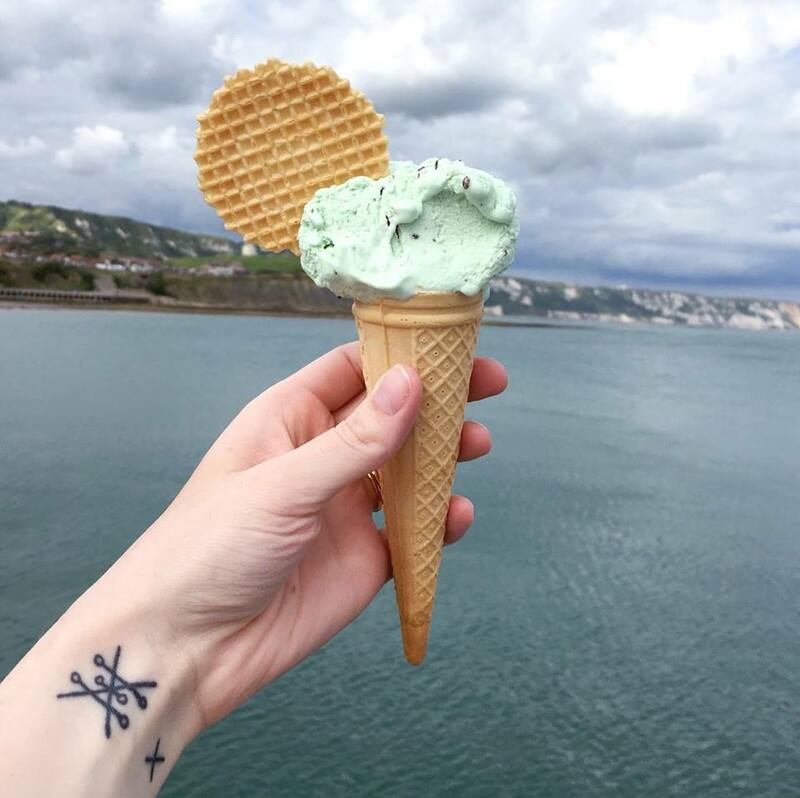 Because you absolutely cannot go to the seaside without stopping for an ice cream! It's an unwritten rule. Sebastian had a coffee scoop whilst I had the usual - mint choc chip. 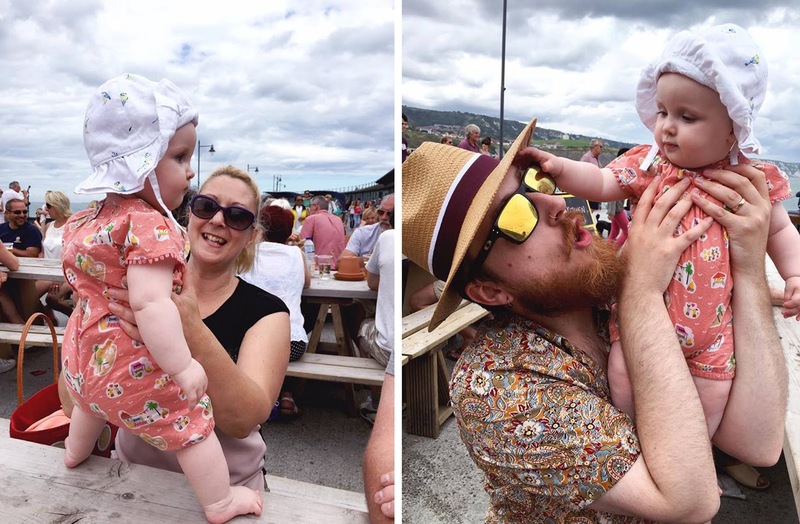 We had a stroll along the harbour and watched the seagulls having a bath and stealing beach go-ers food whilst the smell of fresh fish was surprisingly pleasing. 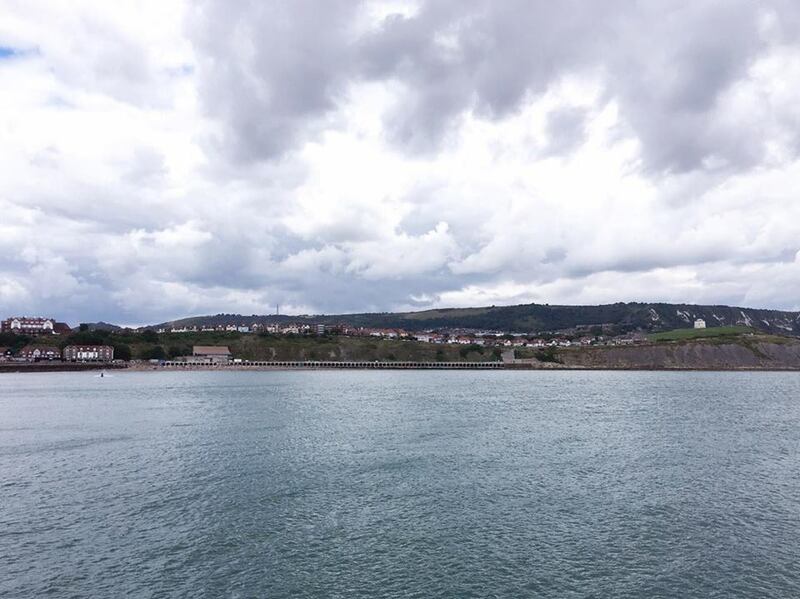 I turned to Sebastian and told him how much I would love to live by the sea and I could see myself here ... until the dream of living in Scotland becomes a reality of course!! I love how small seaside towns gather on such sunny days eating good food, listening to good music whilst in good company. ALL the good vibes. After we strolled along the cobbled path, Olive was out like a light. Heat and motion had finally taking it's toll and she gave in and snoozed happily in the pushchair. We took the opportunity to stop and sit and people watch. Walking back to the car we all decided that we couldn't go home without a paper bag of fresh donuts sprinkled in cinnamon sugar. At this point Olive was awake and just watching us all stuff our faces. You cannot beat a warm freshly cooked donut - a carnival donut I might add. We all felt shattered and slept wonderfully that night. It was a lovely family day and we cannot wait to go back. I want to take more snaps of the lovely arm and cobbled street and quaint little harbour filled with animated seagulls and cute sea boats. I hope you are all coping in this heat! 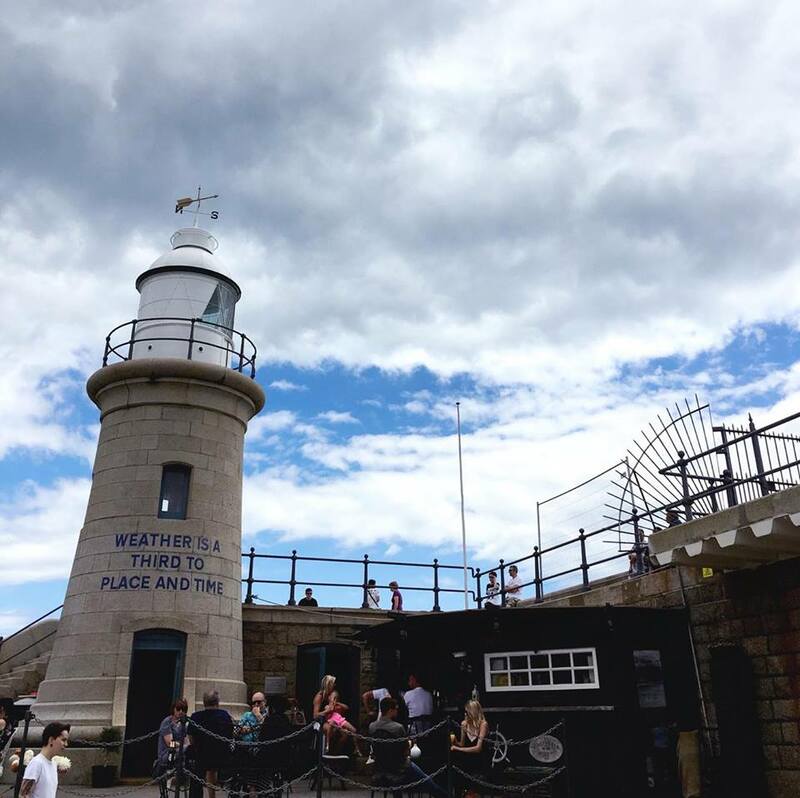 Another reason to live by the sea... cool air at all times. As well as refreshing ice creams. Did you have a lovely weekend? Oh my goodness Olive is adorable. Think there's something about the sea air that can make you tired.